• How it works: You roll the sweeper back and forth over the area with the crumbs, and the rolling brush underneath picks up the crumbs. 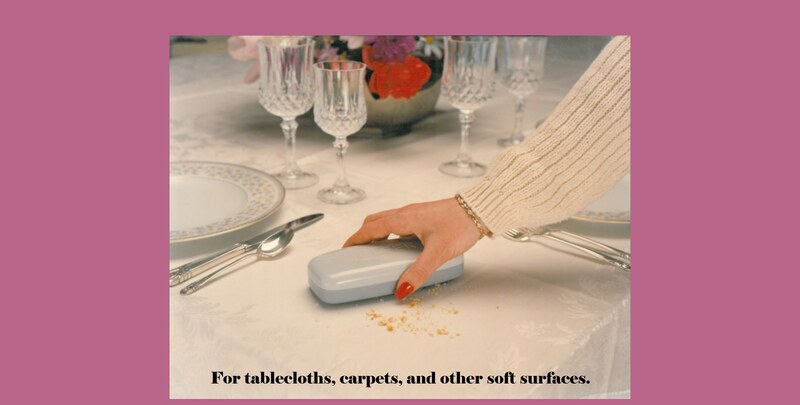 To discard the crumbs you remove the top of the sweeper. • The Crumb Sweeper measures 6 in. x 3 in. x 1.5 in. • The price of each sweeper is $5.95. Shipping and handling is $2.95 for the whole order, regardless of the order amount. • Our Crumb Sweepers come with a 30-day money-back guarantee. • For use on soft surfaces, such as tablecloths and carpets. Not for hard surfaces. • Orders are shipping out within 2 business days. 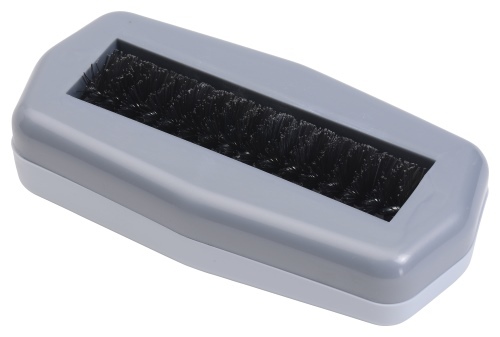 To order the Crumb Sweeper, please enter your desired quantity below and add to cart. Please select your method of payment below. You can pay with Visa, Mastercard, AMEX, Discover, or PayPal.